The Route du Rhum is a big deal in France. 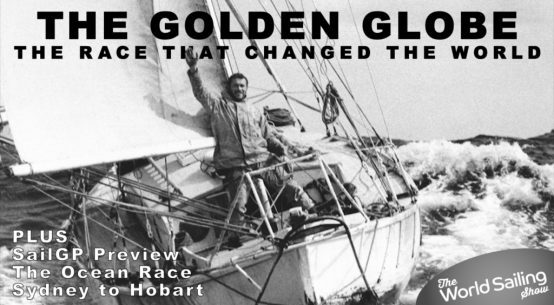 This singlehanded race across the Atlantic starts just as winter sets in and has a formidable reputation. Run every four years, this was the 40th anniversary and had drawn huge crowds of spectators to see this year’s record breaking fleet. But as the clock counted down to the start, the reality of a fierce weather system out in the Atlantic started to sink in. The tension was building. True to the forecast, within 48 hours of the start, the fleet was engulfed by the ex-hurricane. Boats broke and skippers retired, including several of the race favourites. Yet some pushed on through. The World Sailing Show was there on the dockside to report on the mood before turning our attention to how this infamous race played out. The high octane, high budget America’s Cup is not where you’d expect to get something for nothing. While the boats were among the fastest sailing machines in the world they had cost the earth to create. 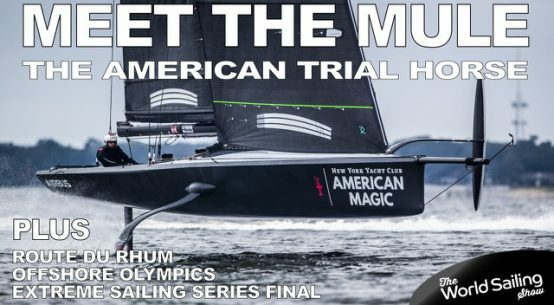 But now, Artemis Technologies, a company born out of former Cup team Artemis Racing, has utilised the technology that was amassed during the last Cup cycle to create a foiling cat of a very different kind as well as an impressive fully flying simulator. After months of speculation and debate the decision is now official, offshore racing will be included the 2024 Olympics. The news broke at World Sailing’s Annual General Meeting in Sarasota, Florida also the venue for the 2018 World Sailing Awards. Among those taking home the trophies were the newly crowned Rolex Sailors of the Year. But there was a new category as well, that of Boat of the Year. Every year, towards the end of the Mediterranean racing season, owners and crews of some of the world’s most elegant and precious classic yachts park them in the centre of St Tropez for Les Voiles de St Tropez. But the event is more than just classics on parade, as always the great and the good of the carbon grand prix world turned up too. Shortly before the Route Du Rhum got under way from St Malo, in Lorient just to the south, some of the world’s smartest technical brains prepared to take to the stage at the annual Yacht Racing Forum. The World Sailing Show was there with a long list of questions including; what is the reasoning for the radically shaped bows on boats like the new IMOCA60 Charal? Why is aero dynamic drag such a big deal and what is the future for high tech sails? Plus, we talk to Vendee Globe champion and Banque Populaire skipper Armel Le Cleac’h about what it’s like to sail a 100ft trimaran.